Acting Attorney General Matthew Whitaker claimed last year that there was “no collusion” between Russia and President Donald Trump’s 2016 campaign — his most direct pushback against special counsel Robert Mueller’s investigation. 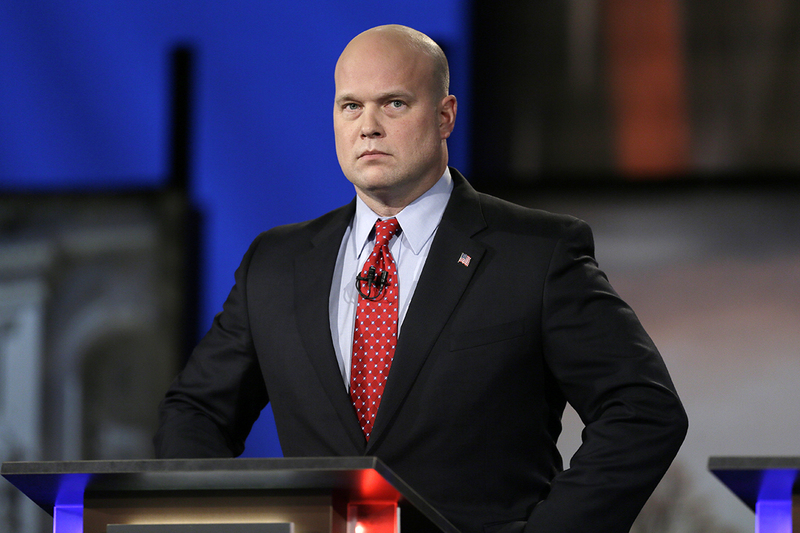 Whitaker was named acting attorney general after Trump on Wednesday asked Jeff Sessions to resign. Whitaker served as Sessions’ chief of staff. Before joining the Justice Department, however, Whitaker was an outspoken critic of Mueller’s investigation, which has expanded to include possible obstruction of justice by the president. A number of lawmakers have called on Whitaker recuse himself from overseeing the inquiry, including Senate Minority Leader Chuck Schumer (D-N.Y.). Sen. Jeff Flake (R-Ariz.) announced on Thursday that he would introduce bipartisan legislation to protect Mueller from being fired. Whitaker also said during the 2017 radio interview that Democrats were scared that Mueller’s results would show that there had been no collusion.